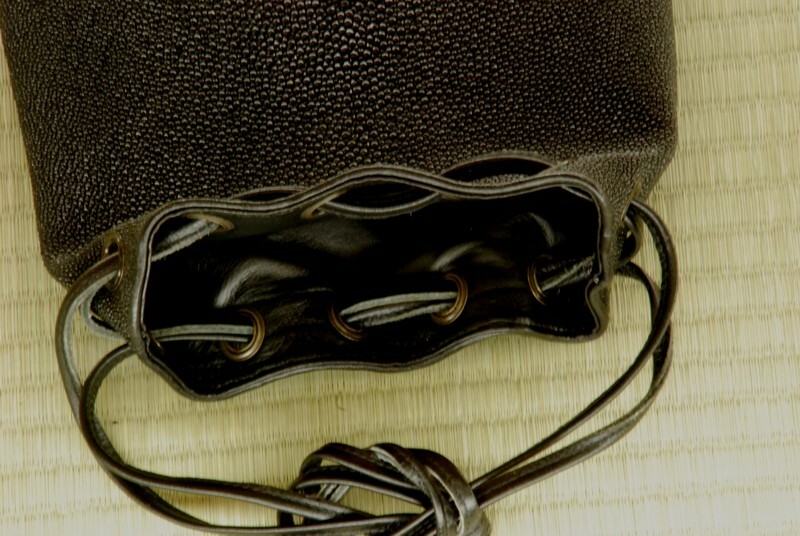 The Shingen Bukuro is an essential part of a formal uniform. 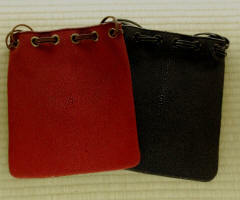 Since there are no pockets available, where do you carry things like your car keys, wallet, or cell phone. 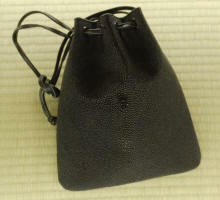 This type of bag was used for the first time by famous Daimyo Takeda Shingen (1521-1573) on the battlefield. 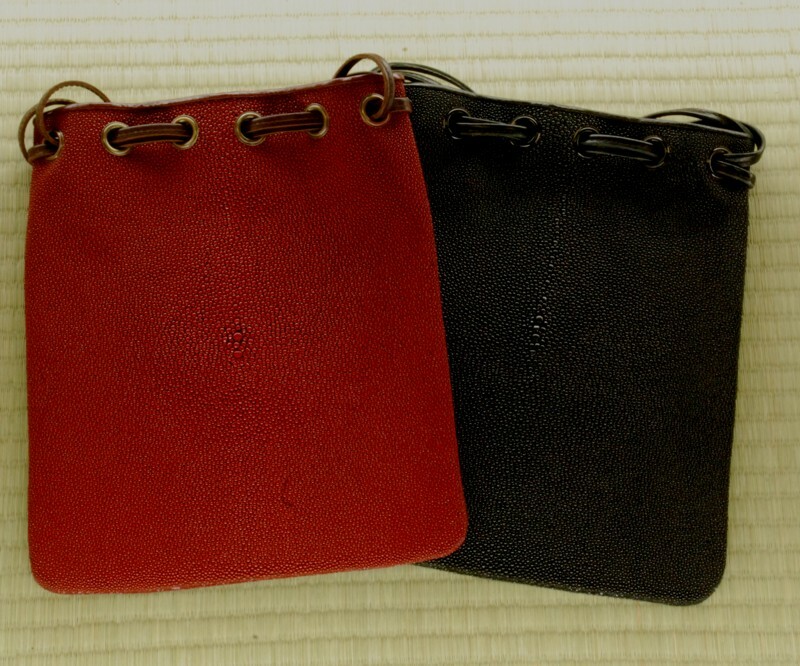 Thus the name of this traditional style of bag is "Shingen Bukuro", which can be translated as "Shingen's pouch". 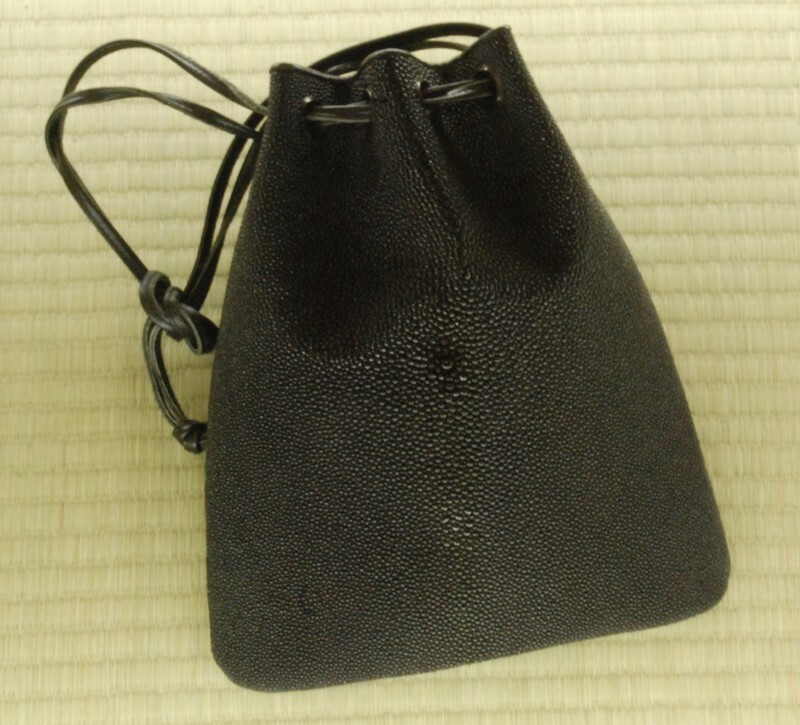 This ultimate Shingen Bukuro is made of two tanned rayskins and lined with leather. Hataya Sensei has these custom made and we are happy to offer them to you.